For more than 25 years, Kingdom County has produced award-winning feature films and documentaries, live performances with internationally celebrated artists, and pioneering learning experiences in filmmaking, theater and writing. 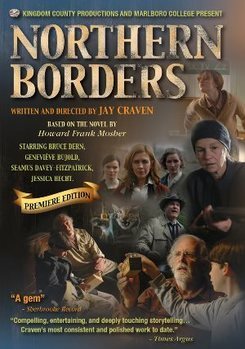 Award-winning writer, director, and producer, Jay Craven makes place-based narrative feature films and directs the biennial Cinema Sarah Lawrence program where 25 professionals mentor and collaborate with 35 students from multiple colleges to make an ambitious feature film for narrative release. Craven curates the Northeast Kingdom’s KCP Presents performance series, the Middlebury New Filmmakers Festival, and the Woodstock Film Series. He teaches screenwriting and film directing at Sarah Lawrence College and produces workshops for kids and teens in playwriting, filmmaking, circus arts and sketch comedy. Bess O’Brien is an award-winning documentary filmmaker and theater producer whose work focuses on pressing social issues. Her films shed light on the human stories behind opiate addiction, foster care, domestic violence, eating disorders, incarceration and bullying. O’Brien’s work has been nationally acclaimed for raising awareness and fostering dialogue for change. Her films are screened across the country and are used in schools, universities, social service organizations, and treatment centers to promote public health.